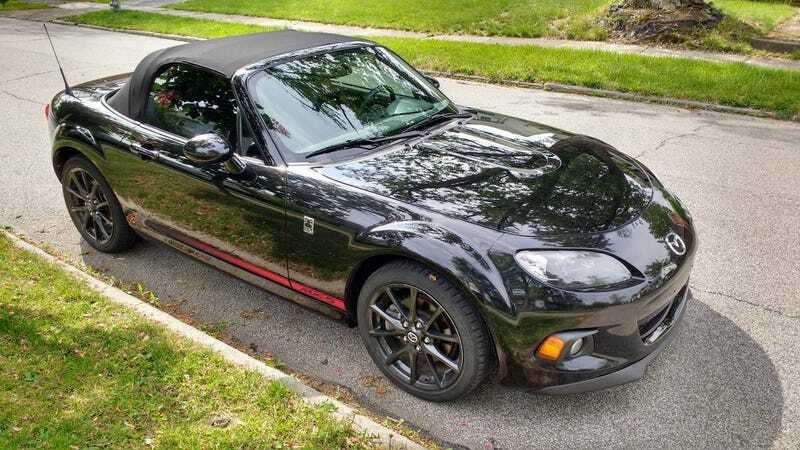 Today in car shopping, which Miata is best Miata? Back at it again with the car shopping, which would oppo buy? First up is a black 2013 Club for $14,500 with 41k miles. Just like the last red club I posted about it kind of seems like too good of a deal. The last one had a salvage title but this one says clean and also - “Price is $14,495 which is under KBB value and about $4k less than dealerships are charging for similar year/miles.” Okay, but why? Next up is just a nice blue ‘08 PRHT with 41k miles for $14k. Hard top and heated seats would be nice for winters but unsure if it has the suspension package with needed LSD. Wouldn’t have to worry about anything fishy since it seems appropriately priced. Then there is the one that is more than you want to spend but is real nice. 2016 Grand Touring launch edition with 18k miles for $19k. Has everything but an LSD, which could always be added. It would be nice to have a car that will look “new” for the next 5 or more years. Just have to go way down south to get it. CURVEBALL - 300hp American Miata. 2007 with only 5k miles for $20k. Essentially new and has the GM performance tune.